HONOLULU, Hawai‘i – Kaiali‘i Kahele was sworn in to the Hawai‘i State Senate at the commencement of today’s Senate Regular Session. Chief Justice Mark Recktenwald of the Hawai‘i Supreme Court administered the Oath of Office on the Senate floor. 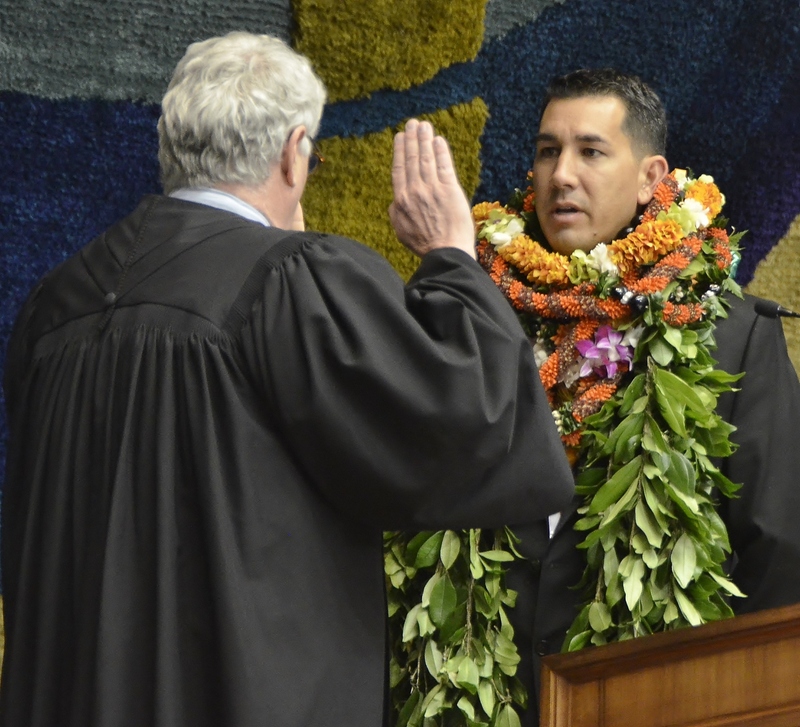 Kahele was appointed to represent the 1st Senatorial District, which encompasses the greater Hilo area, filling the vacancy created due to the passing of his father, State Sen. Gilbert Kahele. Sen. Kahele will serve on the Senate Standing Committees of Education (EDU), Higher Education and the Arts (HEA), Judiciary and Labor (JDL), and Tourism and International Affairs (TSI).